The Y.A. 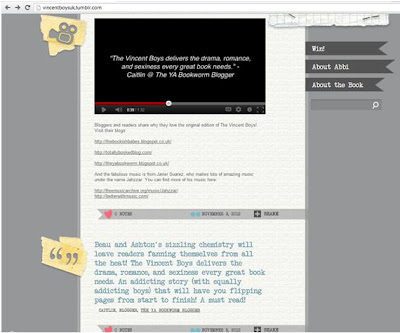 Bookworm Blogger: 350+ Follower Giveaway Winner & Other News ! 350+ Follower Giveaway Winner & Other News ! I am extremely excited to be announcing the winner of my 350+ Follower Giveaway! There were 477 entries in this giveaway- which I think is pretty successful for my first official one! I want to thank everyone who entered and spread the word about the giveaway- you guys are seriously the BEST followers ever! Congratulations Lauren!!! I've already sent you an e-mail :) To those of you who did not win *gives virtual hug* don't get discouraged because I am already planning for my next giveaway- so be sure to watch out for that soon ! If you haven't already noticed, both shots show my part in the video and my mini-review right below it (Can you tell I'm excited?!) So if you have time, be sure to see what others are saying about The Vincent Boys by watching the video below and/or visiting the UK site here! Thanks again for all of your support! Keep Reading! 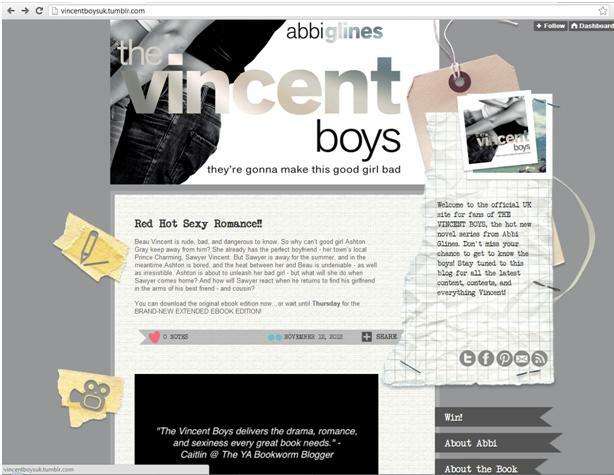 My FULL review on The Vincent Boys!